These are the best back exercises to improve strength, power, and muscle definition. A strong back is not only a symbol of strength and power amongst lifters, but it can be the key to a big squat, bench press, deadlift. Building a strong and healthy back — while not an overly complicated process — takes diligent training and an understanding of the intricate muscle groups that make up this vast region to reach our back’s incredible untapped potential. What are the back muscles? Why is back training important and who can benefit? Below is a breakdown of the individual muscles that make up the back muscles, along with the specific purpose of each. The lats are often the back muscle that is thought of most when we train the back. This muscle is responsible for strength in most pulling movements like pull-ups, deadlifts, and carries. The lats give the back a “V-Shape” and width, which is also known as the v-taper in bodybuilding. The lats run from the base of the spine and fan out across the entire back, in the V-like pattern on the diagram above. The trapezius controls scapular movement, and can assist in pulling movements like deadlifts, power cleans, and shrugs. 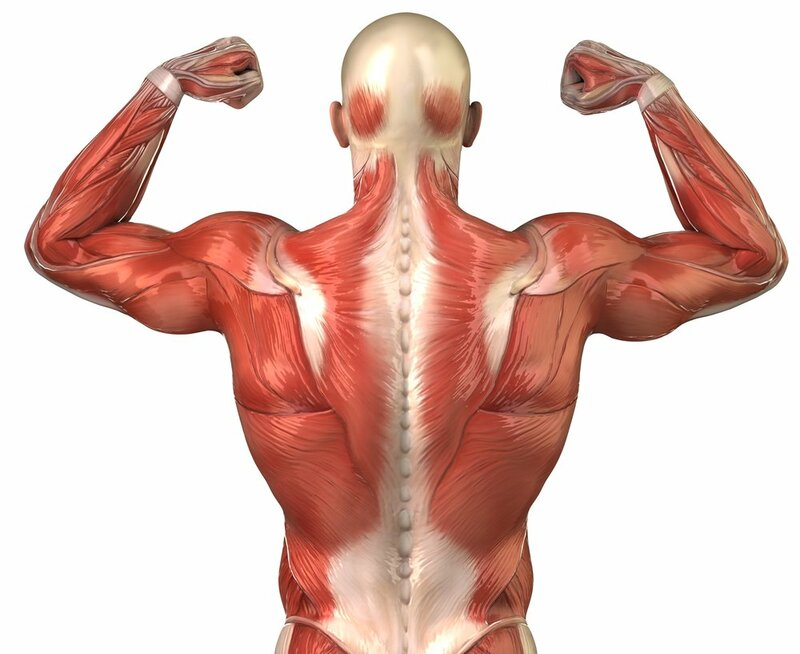 While most people think of the traps as the top of the back/neck, this muscle group actually spans from the upper back/neck all the way down to the lower regions of the back. The rhomboids and scapular muscles are responsible for shoulder blade control and stability. These muscle groups are key for most pulling AND pressing movements, and can be trained using traditional back exercises as well as scapular push-ups, banded drills, and other direct scapular strengthening exercises. The erectors, otherwise known as the lower back muscles, are trained throughout most of the movements in powerlifting, weighting, and fitness (deadlifts, cleans, snatches, squats, etc.). They are responsible for spinal stability and resisting spinal flexion; and can be further isolated in moments like back extensions, good mornings, and supermans. Below are a few reasons to train the back, specifically for certain types of athletes and populations. 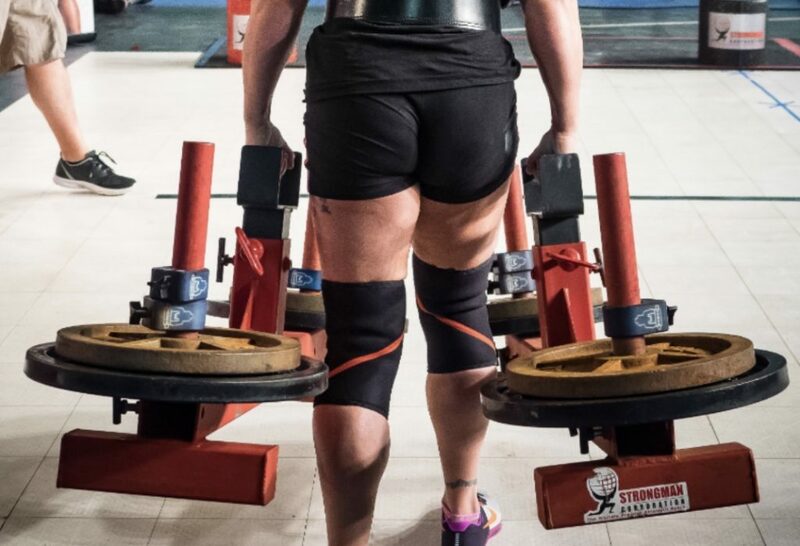 Movements such as the squat, deadlift, overhead press and jerk, bench press, and the Olympic lifts, ALL require back strength, postural control and stability, and positional awareness (as most movements profile from either lifting a load of the floor, hoisting it overhead, or placing it on the upper back). All forms of spinal loading demand a strong back to withstand external forces, protect the body, and stabilize the spine; making back training an essential and vital aspect of training for strength and power athletes. Similar to how strength athletes need a strong back to improve performance, general lifters should perform back training to find balance and symmetry in their back’s muscle groups. Most general lifters, however, will attack chest, shoulders, and arms with the utmost intensity, and train legs and back sub-optimally. This form of training and methodology can often create muscle imbalances, mobility issues, even slight lower back pain caused by things like weak glutes, poor posture, and poorly conditioned back muscles. In addition to all the above benefits of back training for strength athletes and general lifters, everyday populations should train back to increase spinal integrity, promote scapular control in movements, and improve posture. Seeing that most of the population works sedentary jobs and/or at a computer where they sit most of the day — the back muscles are quick to atrophy. Like most muscle groups, aging can lead to muscular atrophy and wasting at accelerated rates. Combine that with years of sitting and sedentary lifestyles, and you have a recipe for muscle atrophy, poor posture, and spinal alignment issues. Training the back at any age can be helpful to strengthen dormant muscle fibers, increase back strength, and help address muscle wasting properties and poor posture caused by today’s lifestyles. Below are 8 (eight) of the best back exercises for overall development, strength, and aesthetics. The deadlift is one of the best compound exercises you can do to add serious amounts of strength and muscle mass to the back (as well as the hips and hamstrings). The deadlift has the ability to stress the back using moderate to heavy loads and can often be trained in higher volumes and loads; ultimately offering a one-of-a-kind training stimulus. While the deadlift is listed as one of the best exercises for back strength and hypertrophy, it is also one of the most effective movements for building all-around strength and muscle mass. This exercise stresses not only the back, but also the hamstrings, glutes, lower back, traps, arms, and grip…all in one movement. Increased loading is one of the most effective ways (not the only way) to stress the body and stimulate hormone production and anabolic processes. The deadlift often allows the body to be loaded with the highest amounts of external loads. In doing so, you can train the body to stimulate more muscle fibers and create new ones that keep up with your progressing strength and hypertrophy gains. The deadlift taxes nearly every muscle group in the body, which means that the body can often withstand higher volumes and fatigue compared to other isolation movements. While you still need to be careful about not overdoing deadlift training, most lifters can handle higher training volumes (sets x reps x intensity/load) when compared with other unilateral/isolation movements. Below is a brief guide on how to perform the deadlift (in this case, the conventional deadlift). Step 1: Assume a hip with stance, with the hips back and the back flat. The knees should be bent slightly to allow you to grip the bar tightly slightly wider than shoulder width. Step 2: With the back flat, chest up, and hips slightly above the knee level, pull the back taunt and straighten the arms as you load the pull. Step 3: With everything locked, aggressively push your legs into the floor as you simultaneously pull your chest and shoulders upwards, lifting the bar to the hip. 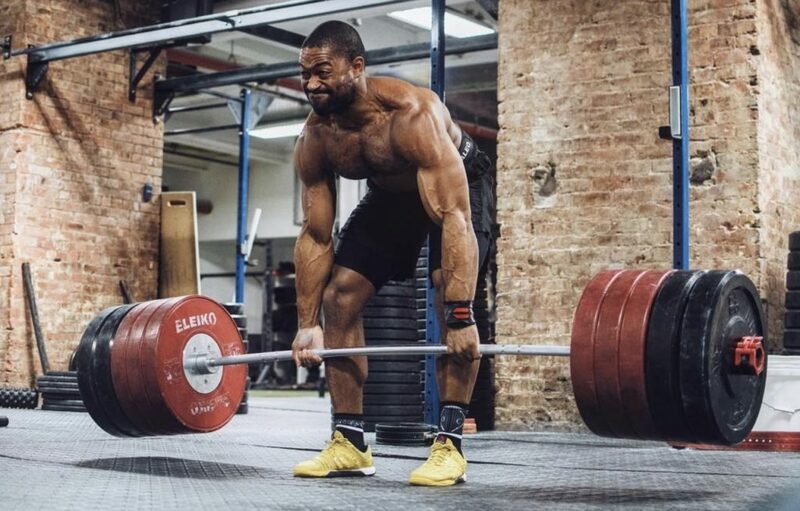 Take a look at out our Deadlift Exercise Guide and learn how to add size and functional strength to your entire body (and back)! The pull-up is a foundational bodyweight movement that can build back width and strength. Additionally, pull-ups can be helpful for athletes who are looking to include more advanced movements like kipping and muscle up work into their training. 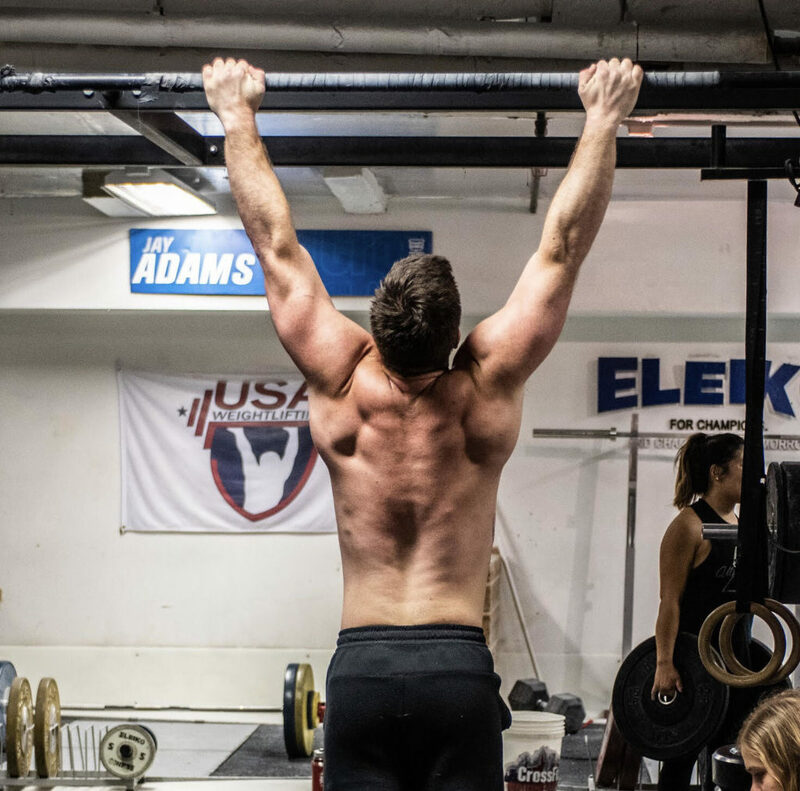 Below are three benefits of the pull-up that coaches and athletes can expect to gain when adding this bodyweight mass building exercise to training programs. The pull-up can be used to increase upper body strength necessary for overall performance, pull-up training, and general size. Additionally, it has a broad application to most functional fitness bodyweight bar movements (muscle ups, kipping pull-ups, etc). Pull-ups, chin-ups, dips, push-ups, etc., do not require any additional weight or equipment, which the the pull-up a great bodyweight exercise to incorporate into any program. As one progresses, they can increase the volume (reps) of the pull-up and/or eventually add external loading (weighted vest, dumbbells, chains, etc). The ability to move and control one’s body in space, during movement and exercise, is a key attribute some lifters fail to attain. Increased midline stability, grip strength, and body awareness are just a few more benefits of mastering one’s body weight in the pull-up. Step 1: Assume an overhead grip on the bar, slightly wider than shoulder width. Step 2: With the shoulderblades depressed and retracted down the back, contract the core and upper back as you initiate the pull-up. Step 3: Aim to pull your chest to the bar, keeping the elbows down and the back flexed until your chin rises above the bar. Take a look at out our Pull-Up Exercise Guide and learn how to master this foundational bodyweight mass building exercise! The bent over row can be done with a barbell, kettlebells, dumbbells and any other loaded object. This exercise is very effective at increasing back (lower, middle, and upper) strength, posture, and back thickness/hypertrophy. 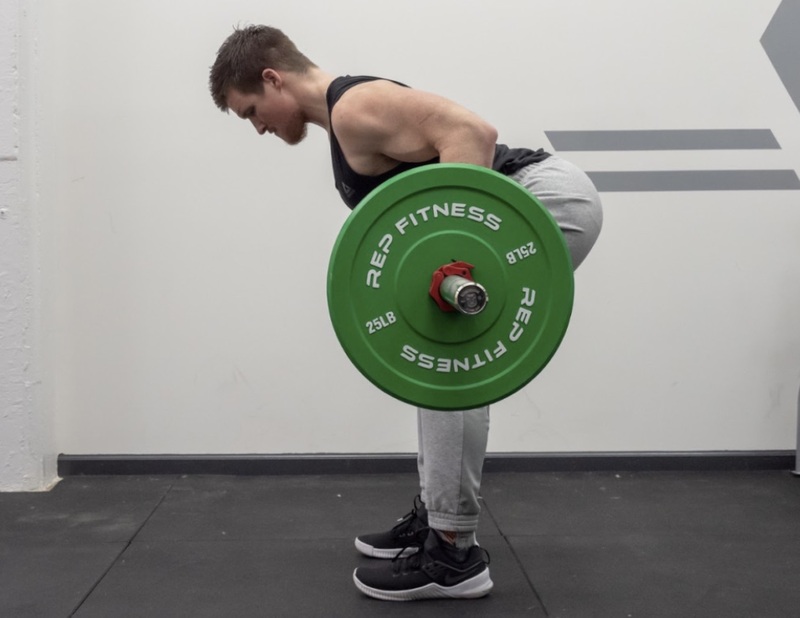 Below are three benefits of the bent over row that coaches and athletes can expect to gain when adding this back exercise to training programs. The bent over row enables a lifter to use relatively heavy loads to stimulate muscle growth via increase loading and training volume. The bent over row places a lifter in a very similar position as the deadlift. This can help to promote/reinforce a strong back and set up in the deadlift, clean, and other pulling movements. This back movement, like the deadlift, T-bar row, and single arm row, allows a lifter to load up with higher amounts of loading (relative to other back movements) and training volume. This is key for increasing muscle hypertrophy and stimulating muscle growth. Below is a brief guide on how to perform the bent over row. Step 1: With the feet under the hips, bend over and place your back parallel to the floor (or slightly angled up). The back should be flat with the weight in the hips and hamstrings. Step 2: You can use an underhand grip, overhead grip, and vary your grip widths to target various aspects of the back. Step 3: When set, pull the barbell to the navel or upper abdominal, keeping the shoulderblades depressed towards hips. Take a look at out our Bent Over Row Exercise Guide and learn how to integrate this mass building back movement into your training program! The T-bar row is a bent over row variation that allows a lifer to better isolate the upper and middle back. This is a good movement if you are also looking to minimize hamstring, hips, and lower back involvement in the row. Below are three benefits of the T-bar row that coaches and athletes can expect to gain when adding this supported back row exercise into training programs. The T-bar row has a lifter perform rows while being in a chest supported position. In doing so, the lower back, hamstrings, and hips are not a limiting factor. This is useful so lifters can target and upper and lower back without adding additional stress to the lower body. As discussed above, the T-bar row minimizes strain on the lower back as the lifter is not supporting their own weight and the bar in the bent over row position. By using this chest supported row variation, a lifter can solely focus on training the upper and middle back with higher loads and volume. Forced and eccentric repetitions can be potent muscle building techniques, however, can be hazardous and difficult to perform with other bent over row movements. By using the chest supported T-bar row, you can have a spotter assist you during forced/eccentric reps without placing yourself in precarious situations. Below is a brief guide on how to perform the T-bar row. Step 1: Assume a prone position in the T-Bar apparatus, with the sternum on the support and shoulder blades set. Step 2: Load the T-bar and grasp the handles. Step 3: Pull the weight upwards towards the body, keeping your back flat and chest up. The single arm dumbbell row is a unilateral row variation that can be done to increase upper back strength, hypertrophy, and attack muscular asymmetries. Additionally, it can help to increase arm and grip strength. 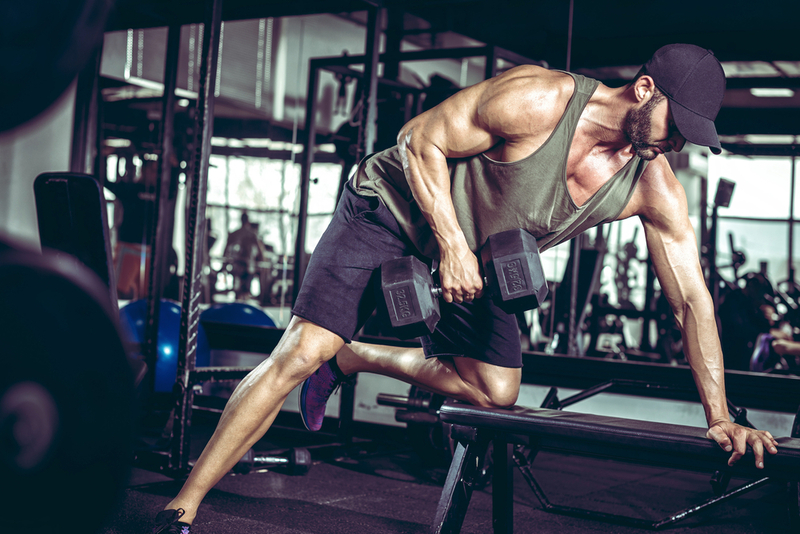 Below are three benefits of the single arm dumbbell row that coaches and athletes can expect to gain when adding this dumbbell row exercise to training programs. Using dumbbells allows coaches to increase the overall range of motion of the row, often getting deeper contraction as the weight can be pulled slightly past the body (more so than a barbell). This can also be done to manipulate angles at which the row comes from, furthering muscle engagement and growth. The single arm dumbbell row can be done often in higher loads and with higher volumes than other row variations, making it helpful for increasing arm and grip strength. Note, that most rowing movements will produce hypertrophy for grip and arm muscles, however dumbbells can be used to increase loading time under tension and load. Addressing unilateral strength and muscular development can be done performing the single arm dumbbell row. Unlike other T-bar, barbell, and bilateral rowing movements, this can help to address muscle imbalances and asymmetries (important for optimal development, after injuries, etc). Below is a brief guide on how to perform the single arm dumbbell row. Step 1: Assume a bent over position, either using a bench support or freestanding. Step 2: Grasp a dumbbell with one hand, and set the back so that the back is extended and the back is flat. The shoulder blades should be back towards the glutes. Step 3: To initiate the pull, slightly pull the elbow backwards first rather than pulling the weight straight up. By pulling the weight back and then up, you are able to match the insertion angles better and target the lats. The inverted row is a bodyweight movements that can build similar back, arm, and grip strength as the pull-up. The inverted row can be used as a regression of the pull-up and/or to build back mass and strength at a different angle than what the pull-up does. Below are three benefits of the inverted row that coaches and athletes can expect to gain when adding this bodyweight row variation to training programs. Like most bodyweight exercises, the inverted row can be performed with little to no equipment. This is key for lifters who are on the go when traveling and/or in large group settings where equipment may be limited. As mentioned above, the inverted row can be used as a regression of the pull-up, as it increases strength and muscle mass of the back, arms, and grip. You can also use this movement to progress someone towards a pull-up as the necessary bodily control and coordination of both movements are similar. The grip and arm strength needed for this movement are similar to that of the pull-up. Lifters who lack grip strength and forearm muscular endurance can train these with this movement, as a lifter can perform slower reps to improve both of these training characteristics. Below is a brief guide on how to perform the inverted row. Step 1: Place a bar in a rack so that it is supported and stable. The height as to which the bar is set can be adjusted, as the more vertical it is the more you will be approaching a pull up. Step 2: With the feet on the ground and the body set in the prone plank position, grasp the bar firmly, pull the shoulder blades together, and set the body in the hollow position. Step 3: Pull the sternum to the bar, making sure to keep the elbows from flaring out and the shoulders from collapsing forwards. 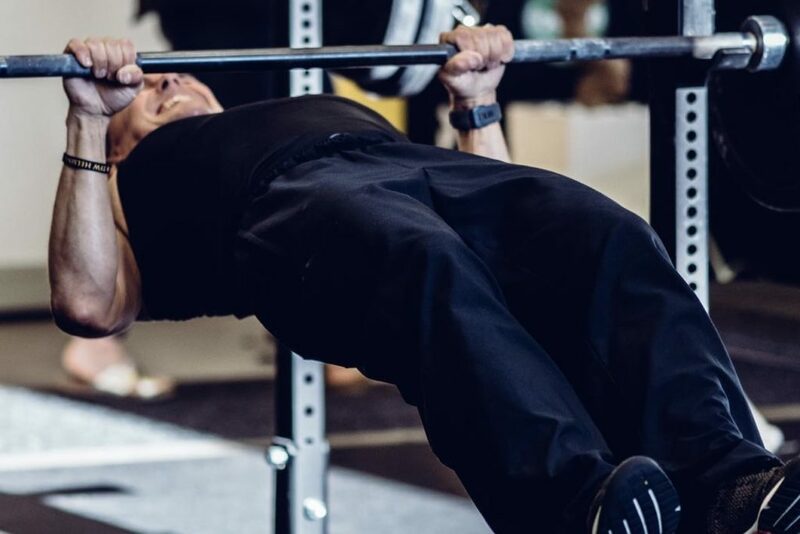 Take a look at out our Inverted Row Exercise Guide and learn how to integrate this mass building back movement into your training program! The lat pulldown is a pull-up type movement that has the lifter perform a vertical pulling movement. The lat pulldown can be done with a higher volume compared to the pull-up and it demands less grip and total body strength, which makes this exercises a good accessory movement for increasing back hypertrophy. Below are three benefits of the lat pulldown that coaches and athletes can expect to gain when adding this back machine exercise to training programs. Unlike the pull-up, which can often be limiting to beginners due to grip and back strength, the lat pulldown can be used with most individuals to build upper body pulling strength and back mass. This is good for isolating muscles and building necessary upper body strength and endurance it progress towards more advanced movements (like the pull-up). The lat pulldown is a beginner friendly back exercise that requires little to no set up, body awareness, and grip strength. Often, beginners can start with the lat pulldown to increase upper body and grip strength and mass. Due to the lack of grip demands when compared to the pull-up, the lat pulldown is a good movement to add into back training programs when looking to increase volume and loading for lifters who are lacking upper body strength. 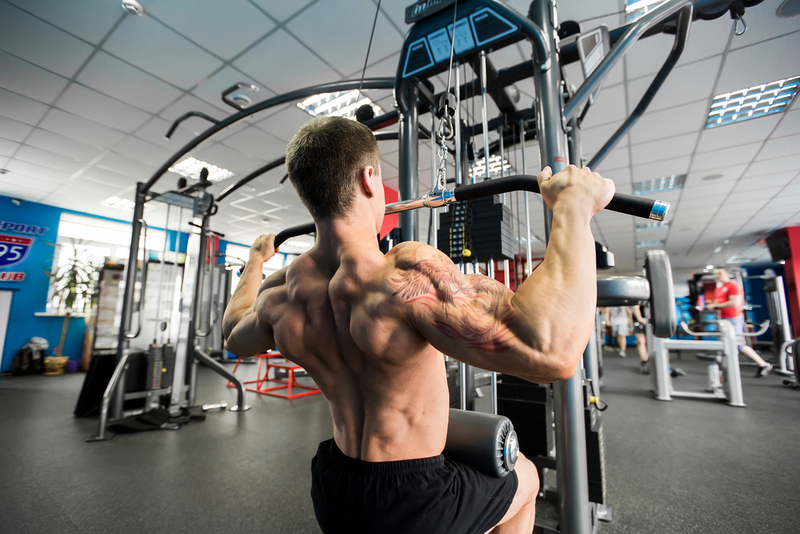 Below is a brief guide on how to perform the lat pulldown. Step 1: Set yourself up in the lat pulldown area, with you legs under the pad and the hands grasping the bar attachment slightly wider than shoulder grip. Step 2: With the core tight and torso upright, pull the bar downwards towards the upper chest/chin, making sure to keep the shoulder-blades packed downwards towards the glutes. Step 3: Squeeze the shoulder blades down the back, pause, and repeat for reps.
Loaded carries, farmer’s walks, and other loaded movements can build back strength, postural control, and core stability. Adding loads to the body — in this case via carrying it — can help build muscle mass, improve grip strength, and overload the CNS to facilitate increased strength gains. Below are three benefits of loaded carries that coaches and athletes can expect to gain when adding this functional movement to training programs. Increased back strength and postural control are both training effects of loaded carries; making this movement highly functional for movement and daily life in most humans and athletes. Loaded carries and walks (unilateral, bilateral, or asymmetrical) can increase postural control, core stability, and back/grip strength; all of which are necessary for more advanced training and lifestyle demands. Loaded carries allow us to use heavy loads, often heavier than what one could perform with other movements. By using these heavy loads, we can subject the back to greater demands and time under tension stress, both of which can increase overall strength and hypertrophy. Below is a brief guide on how to perform loaded carries. Step 1: Grab the loads by deadlifting the weight up with a flat back and tight core. Step 2: While standing upright, be sure to place your torso in the upright position, making sure to keep the shoulders depressed and retracted. Step 3: When ready, walk tall and proud with the chest up and the core tight, feeling the loads distributed in the upper and middle back. Take a look at out our Loaded Carries Exercise Guide and learn how to integrate this total-body strength exercise into your program! At BarBend, we’re constantly updating exercise guides and building out content to help you achieve the best version of yourself. On top of building a Best Back Exercise list, we’ve also built exercise round-ups for other body parts! Check them out below.